Plantain is a useful herb that is often considered a weed by most people. It is native to Europe and parts of Asia, but was said to have been introduced to North America when the settlers came from Europe. It’s scientific name is Plantago Major, and it likely grows in your yard. The leaves are actually edible and somewhat similar to spinach, though slightly more bitter. They can be used in salads or other culinary uses. We dry and freeze the leaf from our yard and I also order it in bulk from Mountain Rose Herbs. Externally, Plantain has been used for insect and snake bites, and as a remedy for rashes and cuts. 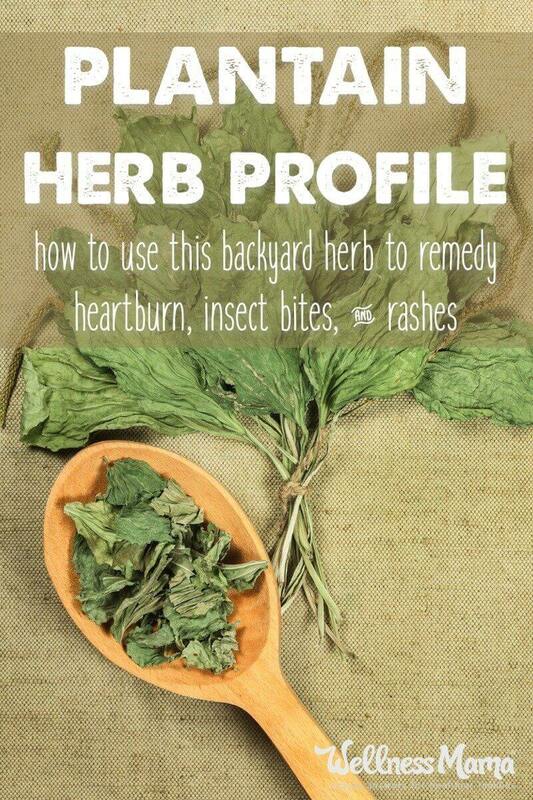 I use it in making my Homemade Healing Salve, which we use as a natural antibiotic ointment on cuts and bruises. 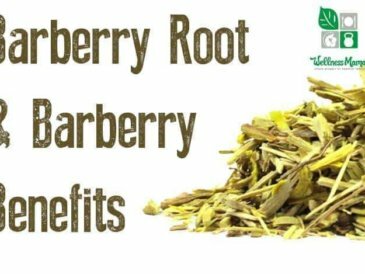 Its natural antibacterial and anti-inflammatory properties make it great for speeding recover of wounds, and for itching or pain associated with skin problems. A tea made from the leaf leaf can be sprayed on mosquito bites to ease the itch. Plantain has been used as a panacea in some Native American cultures and with some very good reasons. Many of its active constituents show antibacterial and antimicrobial properties, as well as being anti-inflammatory and antitoxic. The leaves, shredded or chewed, are a traditional treatment for insect and animal bites and the antibacterial action helps prevent infection and the anti-inflammatory helps to relieve pain, burning, and itching. There is some investigation ongoing to study its affects on lowering blood sugar. 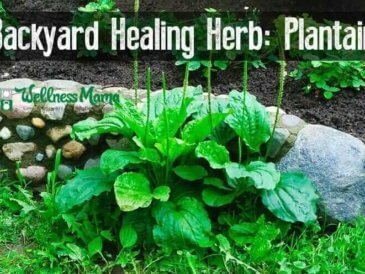 When we are bitten by mosquitos, stung by bees, or come in contact with spiders or other insects, I use a salve containing plantain leaf (or just chew the leaves and apply to the bite) to help ease the reaction. 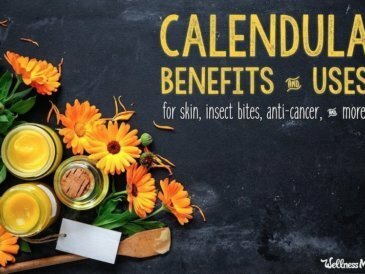 I also used a this salve and and a poultice of the leaves when my son was bitten by a brown recluse and continued this daily for about 2 weeks and his skin never decayed at the bite. A tea, tincture or salve made with plantain also greatly eases the itch of poison ivy, oak, or sumac and I keep it on hand for this reason. A tea or infusion of the leaf can be poured into the ear for ear infections (as long as the ear drum has not burst) to ease the pain and shorten duration of ear infections. 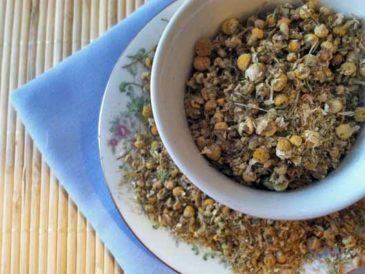 There is unconfirmed information that a strong tea of this herb, taken internally, can help protect the body from the effects of chemotherapy and that a strong infusion can improve blood sugar. While taking plantain in these situations would generally be considered safe, one should still check with an attending physician before doing so. I also make a lotion with plantain, calendula and coconut oil and it is extremely helpful for any skin irritation, including mosquito bites, eczema, psoriasis, chicken pox, rashes and sores. Plantain is good for injuries because of its coagulating properties, but those with blood disorders or prone to blood clots should not use Plantain internally. 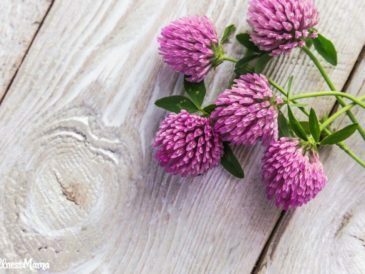 If harvesting it yourself, make sure to get from an area that has not been sprayed with any chemicals or pesticides and make sure that you have correctly identified the plant before consuming. 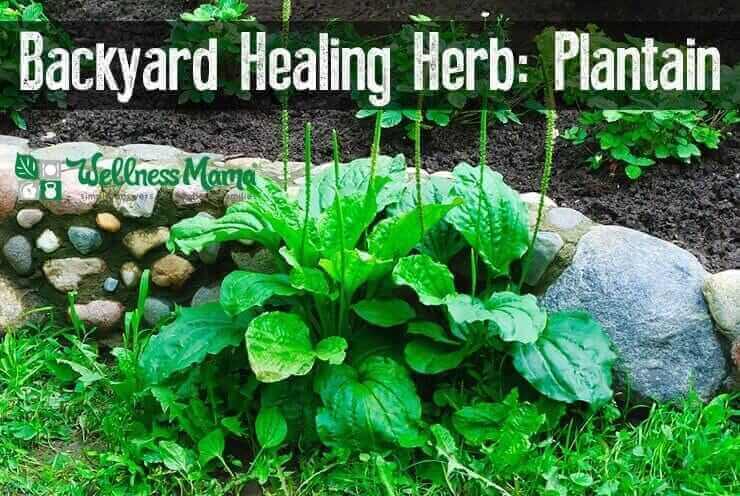 Ever used plantain or another herb that grows in your back yard? Tell me about it below!